There is so much history and emotions connected to design for sports, especially when it comes to sports teams. In a way you can compare the way a team is branded with the way countries and armies have looked throughout time—the clear colour for recognition, the strong emblems, and uniform approach. The best part is the crazy obsession with staying ‘true to the brand’. We are Sofie Platou and Julie Elise Hauge. We are both Oslo-based designers – Julie working at Netlife Research and Sofie at Snøhetta. Since we studied together five years back, we have been working on small non-profit projects together, often exploring creative fields besides our own. We keep referring to it as ‘The Hobby Club’, so guess that’s who we are. We both knew from early on that we wanted to work with something creative—with art as a starting point and from there on, opening the horizon to visual communication in all its forms. To us, the term designer, rather that graphic designer, better describes the way we work and what we do. Today, you often see a merge between the different creative fields, resulting in a more varied process and even more interesting design. In the end, it’s all about solving visual problems, be it a space, a physical object, print or a digital solution. 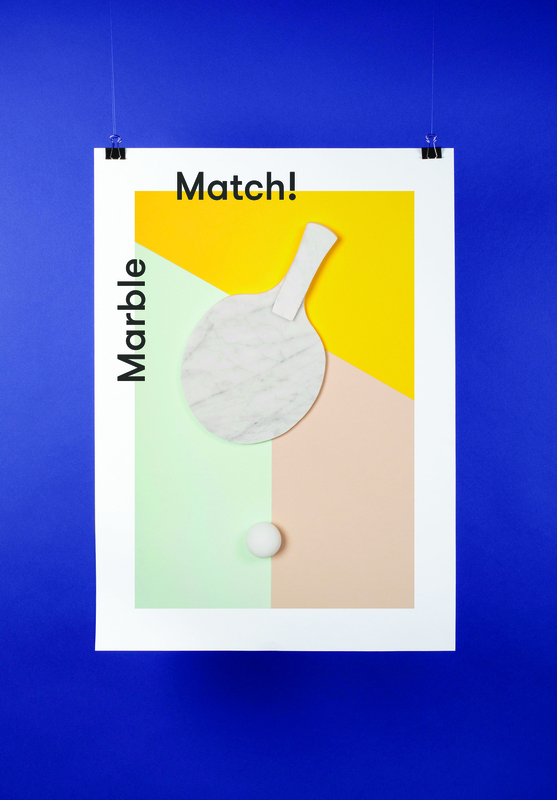 We were invited along with a group of other designers, illustrators and photographers to contribute to an exhibition called Prosjektklubbens Bordtennisaften, which can be translated to the Project Club’s Table Tennis Evening. It was arranged by a ‘club’ similar to ours. The brief was simply to create something related to table tennis; other than that, there were no limitations. It seemed like an interesting project, and a way to explore the meeting between physical objects and print. We saw it as a possibility to experiment with the racket as an object and how the perception of it and its function changes when it’s produced in different materials. 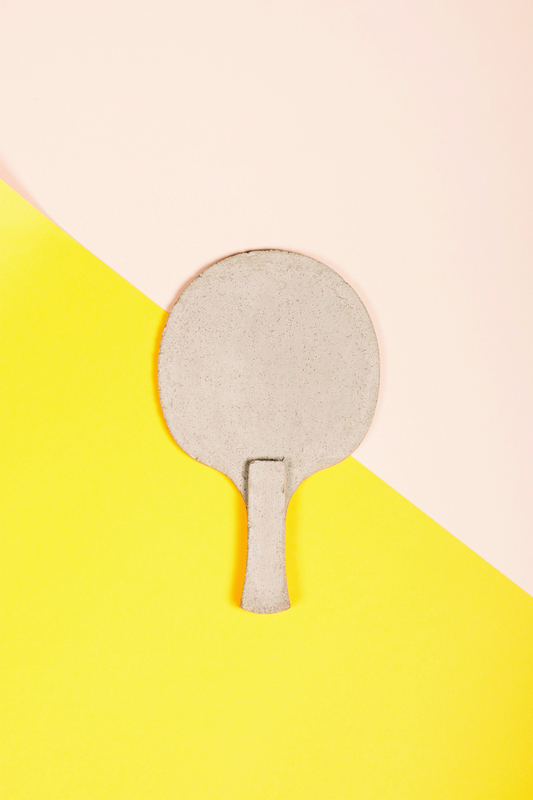 We ignored the main function of the Ping-Pong racket being the extension of the human arm, and played around with its weight, visibility, density and surface friction. This resulted in a series of rackets in the same well-known shape, but with a big variation in materials. 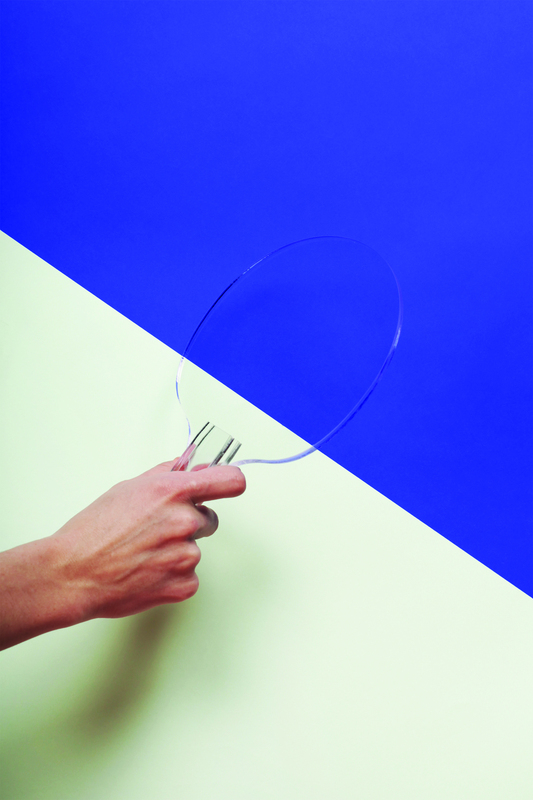 The whole project is a play on what is perceived as common knowledge—the physicality of everyday objects. And in a way, a step back from the functionality and rationalism you find in design for sports. We don’t follow any sports or teams day-to-day, but we do get inspired by the aesthetics surrounding it—both the marketing and the actual graphics connected to a game. Like basketball, where the visual language is influenced by music and street style, which makes the sport more accessible; it’s fast, it has rhythm, it’s played out within a closed frame. Graphics in sports are also very nostalgic for us. Like the Orlando Magic logo from the nineties—all the boys wore baseball hats with that logo. It was so cool; maybe it still is? Not to mention the different NBA logos. Many of them remain unchanged to this day; Chicago Bulls, La Clippers and Indiana Pacers—all have a nice 90’s vibe. A Showcase from Chapter TO in Volume Seven.